The Alexander Technique is an educational experience and reconditioning of your posture and movement. It can be learnt in our private lessons, small group classes and intensive workshops. Often classes start with sitting and standing, however the teacher will work with you in any activity you choose. You will be assisted in activities you are particularly interested in or have difficulty with, such as instrument playing, singing, sports or yoga movements etc. A few sessions may be enough to address a particular problem. Maximum benefit can be gained by attending a series of lessons or classes where the teacher assists you to make changes in your way of moving that lead to fundamental improvements in your physical condition over time. Learning involves both verbal instruction and gentle hands-on guidance from the teacher, followed up by personal practise. The Alexander Principles may be applied differently to address your unique character and situation. A private lesson is recommended to begin, as we can discuss your needs and situation and work out what will be best for you. Learning to direct the moving relationships of your head, spine, pelvis and legs – take the pressure off! And practising this in a range of activities. 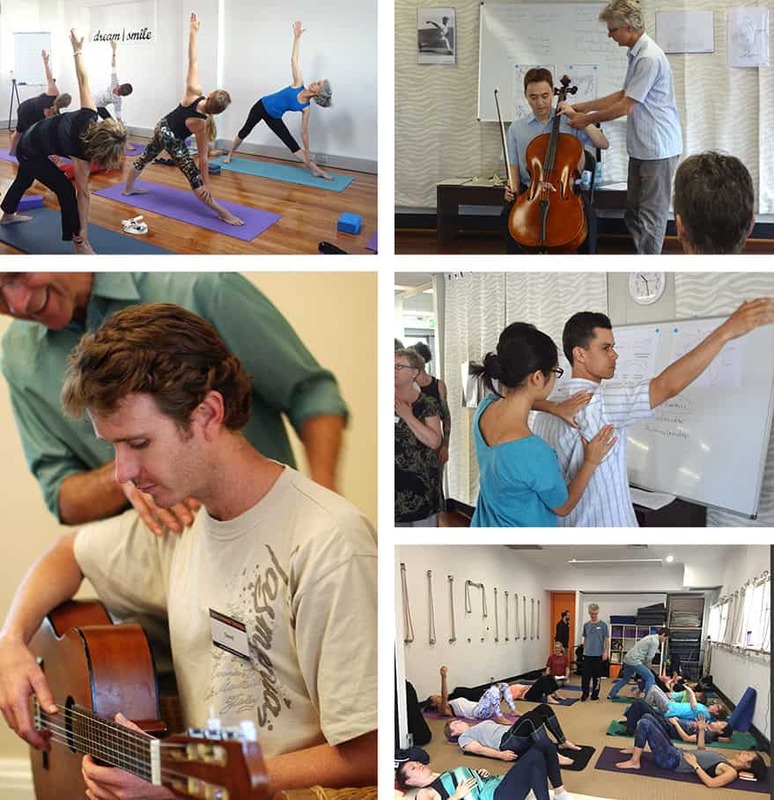 Be BodyMinded in 2019 - new PD program intake and scholarship applications now open!